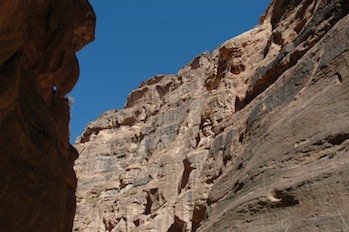 The narrow gorge leading the way into the city from the east. 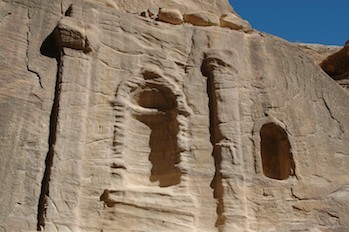 The entrance shows the remnants of an arch that was still in view when David Roberts was first doing sketches of the area, but has since collapsed, leaving only the supports. 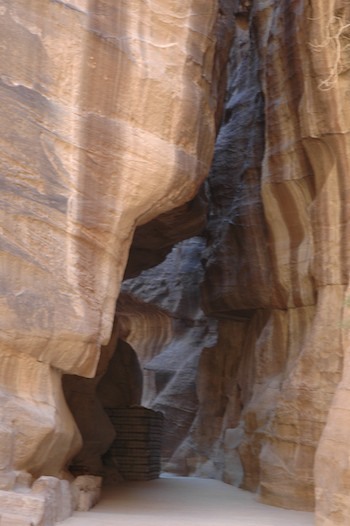 The rest of the passage winds for quite a distance, which almost certainly meant that visitors could be seen coming from quite a distance. 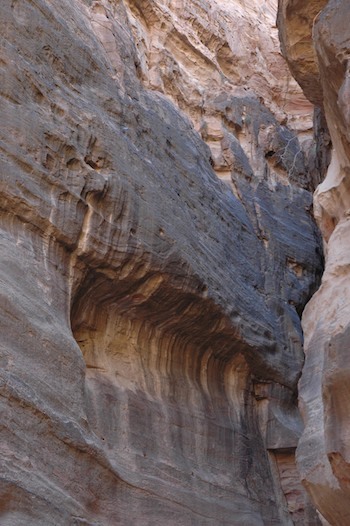 Along the walls runs many small water channels, guiding any collected moisture towards the city. 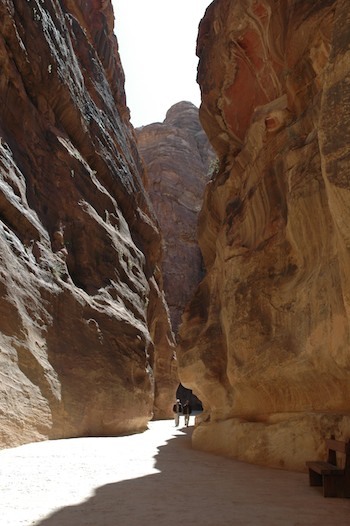 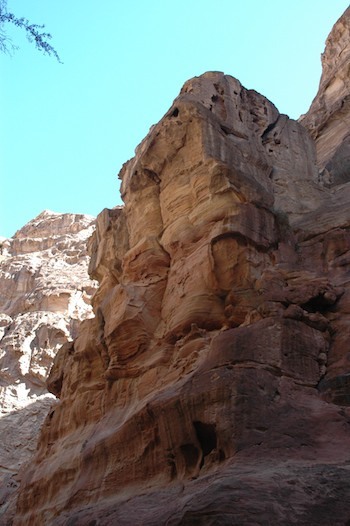 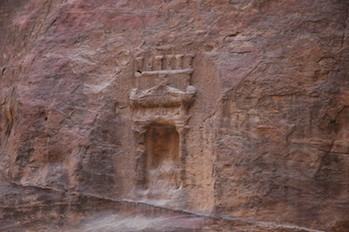 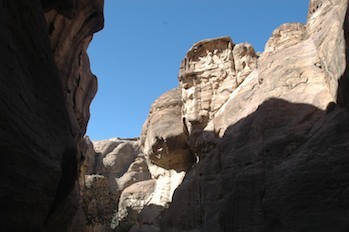 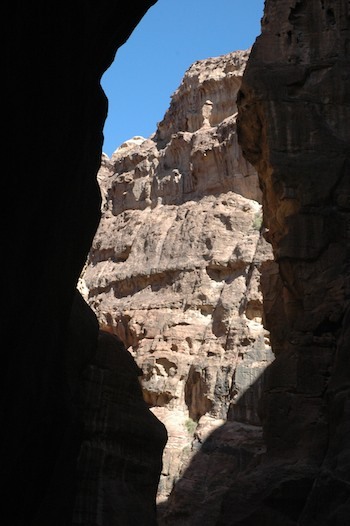 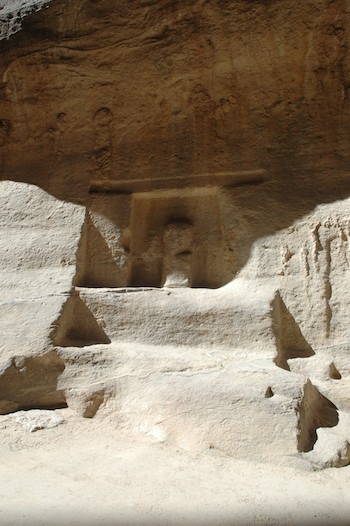 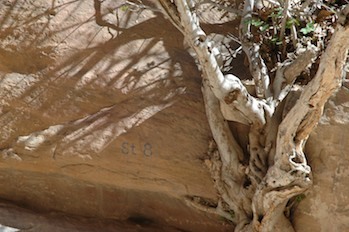 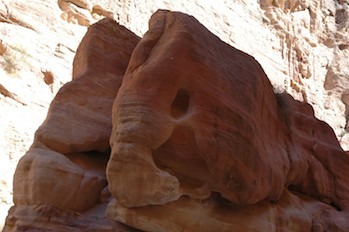 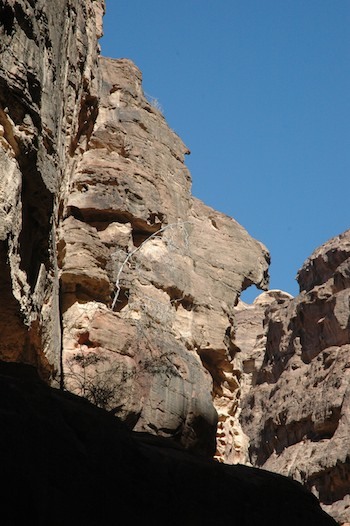 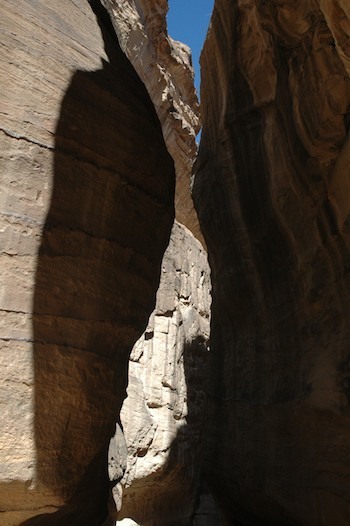 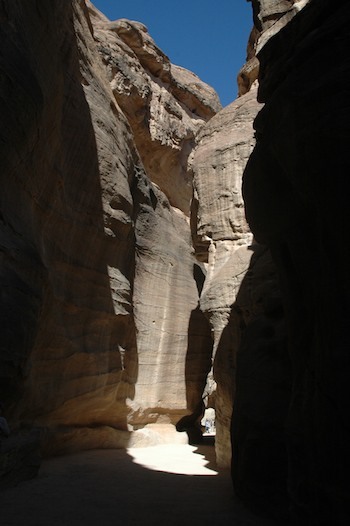 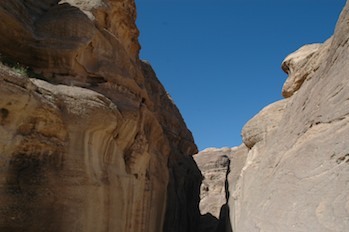 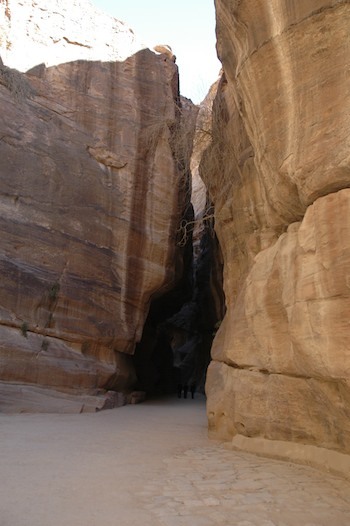 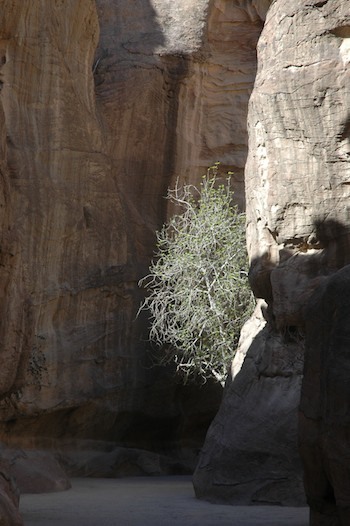 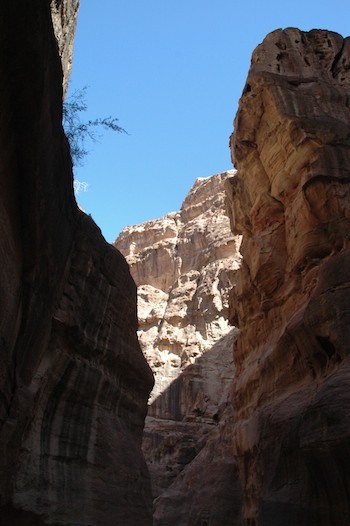 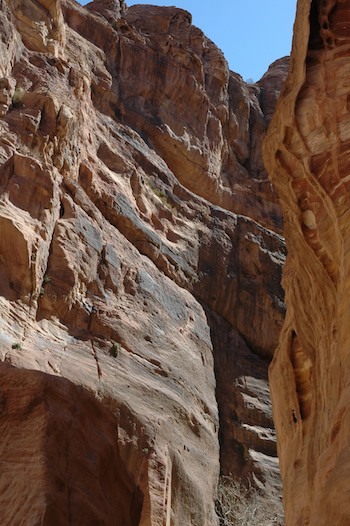 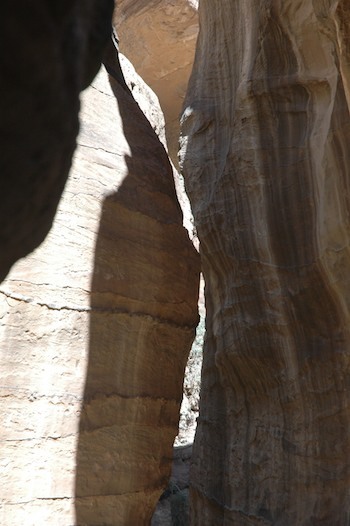 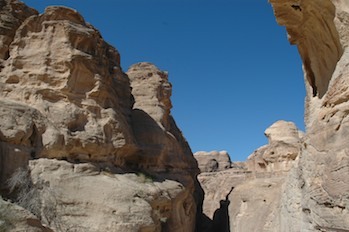 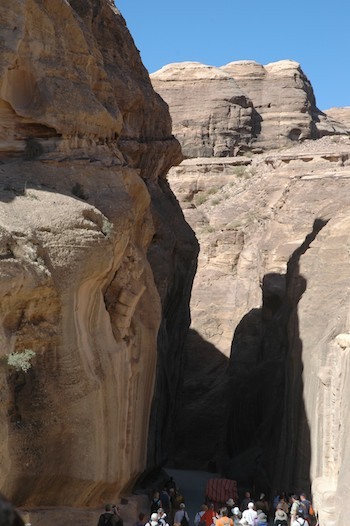 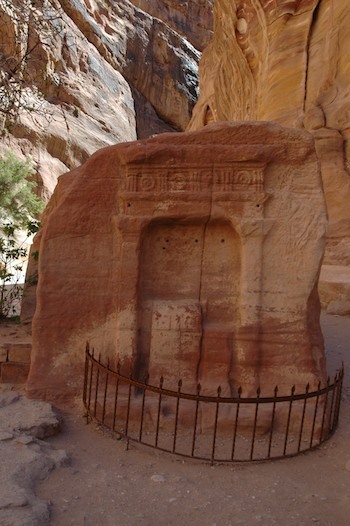 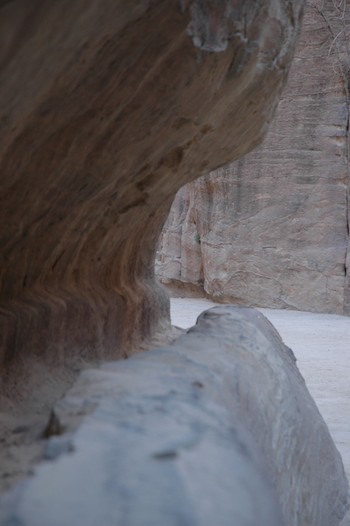 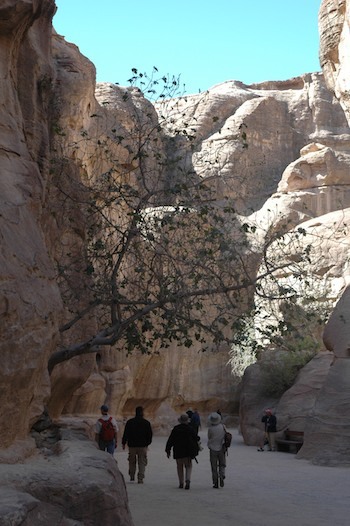 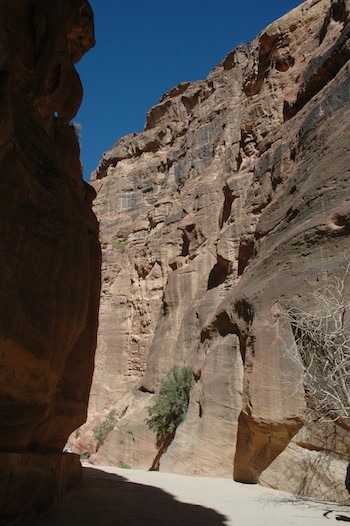 The end of the Siq opens up into the Khashneh.